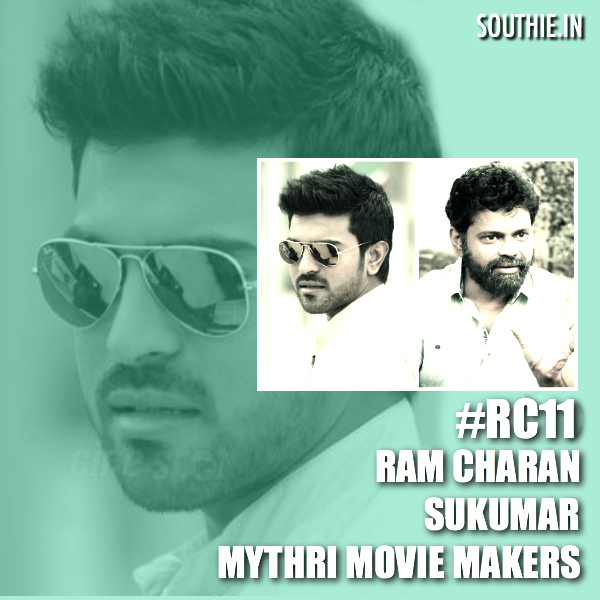 Home/NEWS/RC 11 Sukumar and Mythri Makers team up for Ram Charan. RC 11 Sukumar and Mythri Makers team up for Ram Charan. Ram Charan is not repeating any of his directors. Ram Charan’s upcoming project which is the remake of Tamil blockbuster hit Thani Oruvan has completed its first schedule. But latest update reveals is that Ram Charan will soon be doing a film in Mytri Movie Makers banner. It is already a known fact that Ram Charan will be doing a film with director Sukumar and reports reveal that the said project will be produced by Mytri Movie Makers. This is the same production house which is associated with films like Janatha Garage and Srimanthudu. RC 11 would go to the sets once Ram Charan would finish shooting Thani Oruvan remake, which is tentatively titled Dhruva.